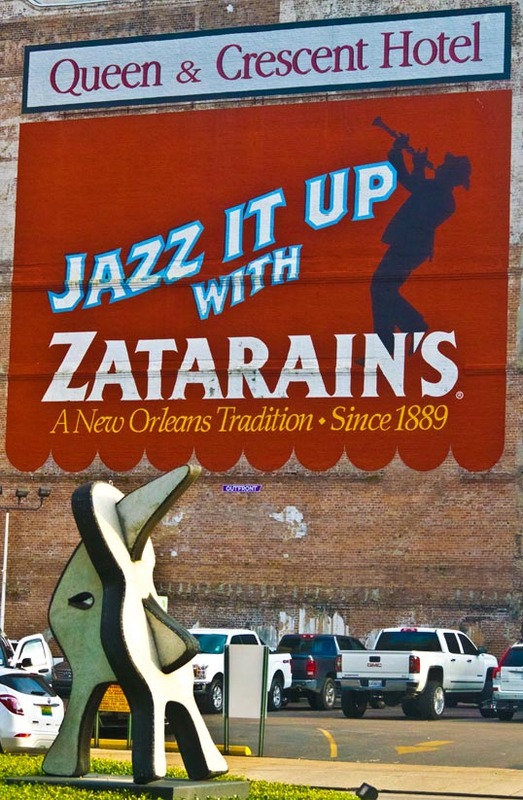 I don’t know what I like the best… the sculpture by Ray Smith… or the giant poster for Zatarains. This entry was posted in Art, New Orleans and tagged advertisement, Art, New Orleans, postaday, postaday2018, poydras, Sculpture, zatarains. Bookmark the permalink. I can tell you, Bill, I sure dig Zatarain’s rice. That’s some good eating right there, sparky.